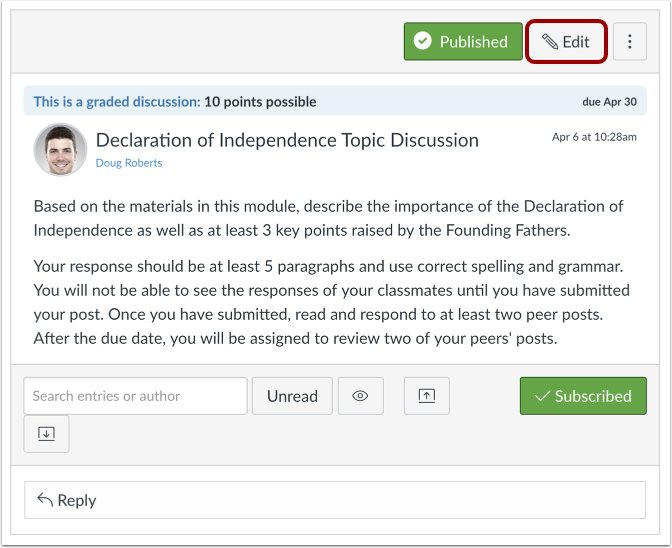 You can edit the details of a discussion you've already created. Edit the text in the Rich Content Editor. 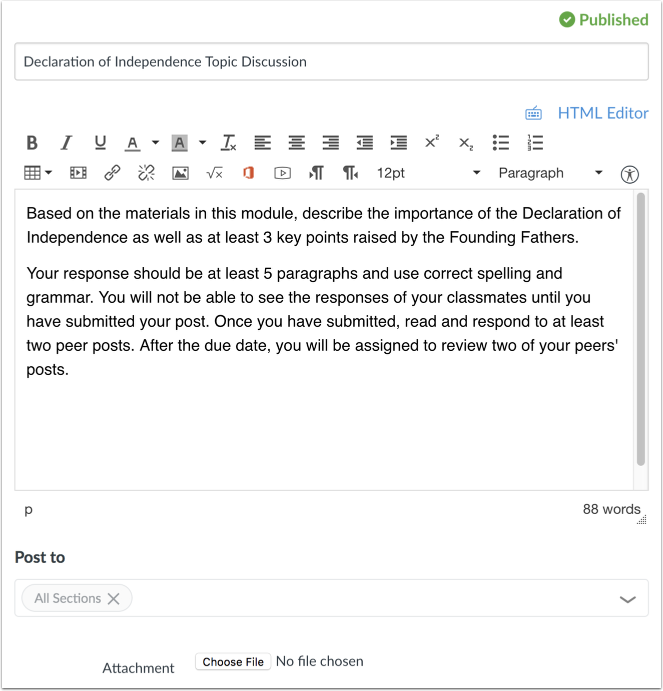 You can also edit other options within the discussion. 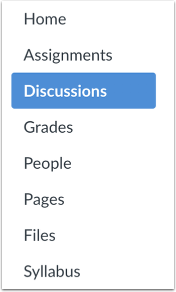 Note: If you are editing an unpublished discussion and want to publish it, click the Save & Publish button. Previous Topic:How do I use Draft State in Discussions? Next Topic:How do I delay posting a discussion until a specified date in a course? Table of Contents > Discussions > How do I edit a discussion in a course?